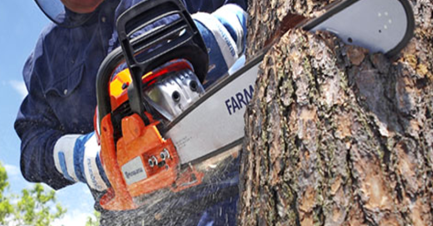 This course will teach the participant to recognize and control the hazards associated with operating a chainsaw. Chainsaw safety training is vital to persons performing these thigh risk tasks which may include working from heights and working near high voltage power lines. Chainsaw safety training is performed off-site and requires the client to provide materials (logs) that can be used for the practical portion of this training. (b) Provided with information, instruction and training in the safe use and operation of the machine or tool.